Daughter Of Blood, The Wall Of Night Book Three: UK Cover Revealed! A failing wall, a broken shield, and an enemy that will exploit every weakness . . .
Malian and Kalan have recovered two of the three legendary weapons of the Derai, but already it may be too late. The Wall of Night, fractured by centuries of blood feud and civil strife, is on the verge of falling. Meanwhile, among Grayharbor backstreets, an orphan boy falls foul of dark forces. A daughter of the House of Blood must be married to the Earl of Night, a pawn in the web of her family’s ambition, and Kalan is caught in a political web he may not be able to escape. While even as Malian dodges Darkswarm pursuers in her search for the Shield of Heaven, rumour whispers that it may be broken beyond repair – and she herself may be the blade the ancient enemy will drive into the heart of the Derai Alliance. So there we go—it’s now official! Wow Helen what a great cover and you in big letters! Congratulations !!! Helen: I live in the USA where it appears Harper Voyager is your publisher. 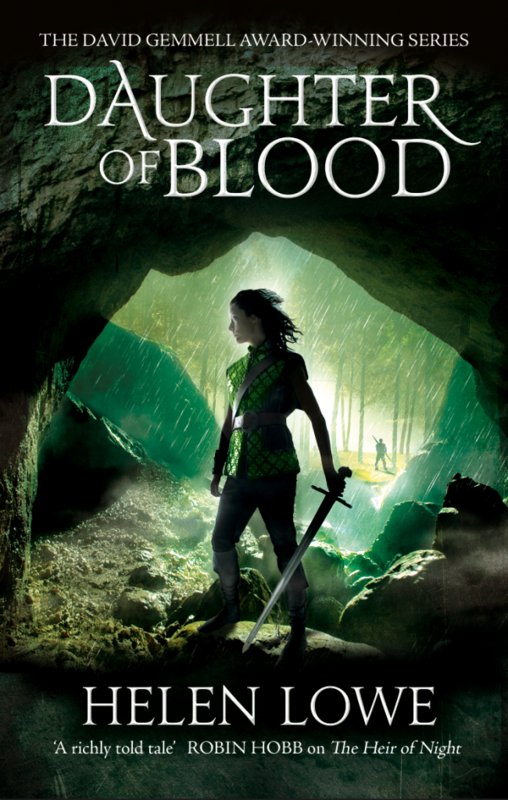 They have a very different cover for “Daughter of Blood.” But I tried to pre-order a Kindle edition of the book from Amazon USA, and none was available; only a mass market paperback was available for pre-order. So my question is, is it still the case that a Kindle version will be released in the USA in January? The short answer is that I don’t know–but I shall inquire and let you know what I find out. Yes! I can now start getting excited for the release 🙂 congrats!